On the 8th and 9th of December, a group of individuals with different intellectual needs will come together to present (In)Visibility, a double bill of inclusive theatre and music performances, as part of the Valletta 2018 Cultural Programme. The show will take place at the Valletta Campus Theatre in Valletta, with performances starting at 7.30pm on both days. (In)Visibility is a year-long collaboration between the Opening Doors Association and the Valletta 2018 Foundation, culminating in a final performance titled ‘The Secret’. The Opening Doors Association is a non-governmental voluntary arts organisation that provides opportunities for adults with diverse intellectual needs, through music, theatre and dance programmes. 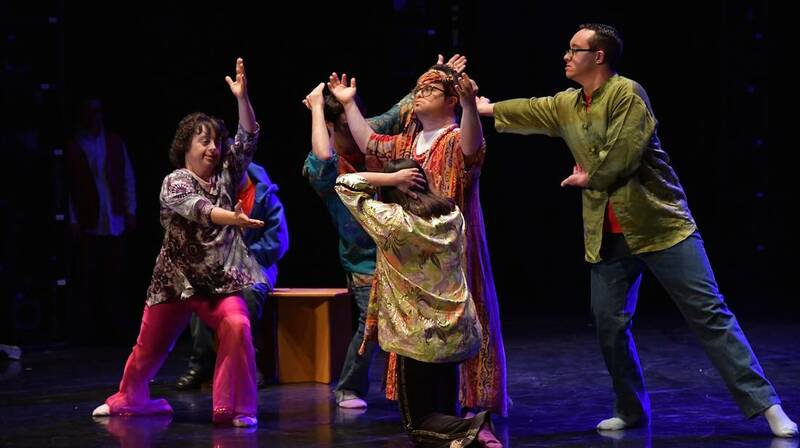 On both nights, performers from the Opening Doors Association will be performing ‘The Secret’, while guest performers from Welsh inclusive dance project Dragon’s Heart and Dragon’s Soul will be performing the opening act, ‘T4’. ‘The Secret’ is a culmination of several months of intense workshops and activities involving a group of performers with learning difficulties – dancers, actors and musicians – collaborators and facilitators, as well as a production co-ordinator who has supported the creation of this original work. This performance is inspired by the iconic story of The Little Prince by Antoine de Saint-Exupéry — a timeless story with profound moral values that speaks to all ages. Meanwhile, ‘T4’ is inspired by the killing of 70,000 intellectually and physically impaired individuals in Germany in the 1930s, as part of efforts to create a ‘superior race’. The production celebrates the humanity and worth of the people deemed imperfect by this regime. Tickets are available from tickets.valletta2018.org. For more information visit valletta2018.org and follow ‘Opening Doors Malta‘ on Facebook. (In)Visibility is organised by Valletta 2018 in collaboration with Opening Doors Association, and is supported by the University of Malta School of Performing Arts.